Learn how to do the Matrix yoyo trick. 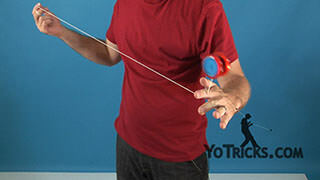 The Matrix Yoyo TrickThis trick is called the Matrix, and it looks like this. That’s it. You may have been able to tell, but the Matrix is a combination of two tricks that you have already learned, with a little bit extra thrown in the middle. So I will show you that, and there are a couple variations to this trick as well that make the trick look a little bit more impressive, and we will get around to that too. Let’s start at the beginning, which is your Double or Nothing. Now you should have already learned this, along with your dismount, so that is the first part of the trick. From the dismount you are going to go into a Reverse Flip on the Side-Mount or the Trapeze, which again, you have already learned. 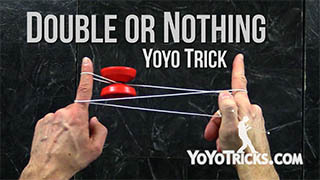 All you are going to do from here is toss it off to the side and get it right back here onto your Double or Nothing. This trick is repeatable, so you can just go like this, right back into your Double or Nothing. As long as you have got spin you can just keep doing it. Just like that. It is as simple as that. Once you have got it down there are a few things you can do to make it look more impressive. 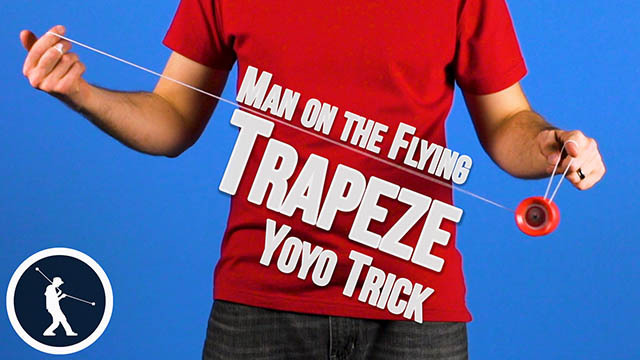 The first one is, after your reverse flip, you can really throw the yoyo off to the side and that gives it just a little bit more action. So that it looks a little bit better you can just go like that. Look over there, you know, that is just how it works. So that is one thing that you can do. 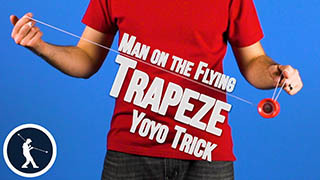 Another thing that you can do that just changes the trick a little bit is when you come out of your Reverse Flip, if you really toss the yoyo over, you can see this string wraps around this finger a little bit, if you drop your finger to get it unwrapped, then you can toss it around and do a full Double or Nothing. Just like that. I’ll show you what I mean, you are going to go over, you are going to get the string off your finger, and then just go right back into a Double or Nothing. 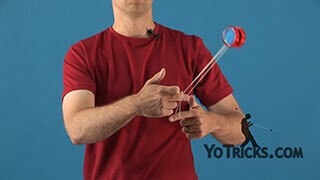 What that allows you to do, it has a little bit more motion, than the regular trick does. 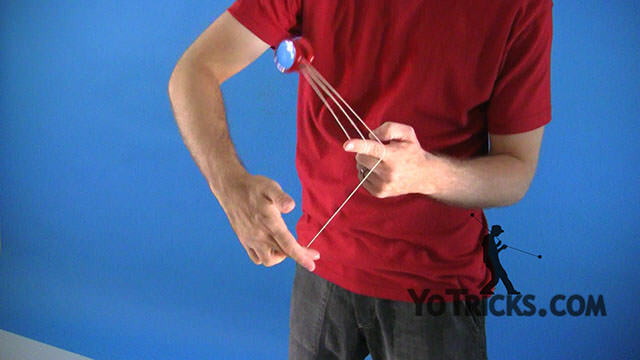 So you are just going to go over, get it off your finger, go right back around and boom back on the string. So you go over, right back around. Like I said that is just a variation. Something you can do to add a little bit more flair to the trick. So again, this is the basic Matrix, if you want to add a little bit more flair you can throw it around an extra time.